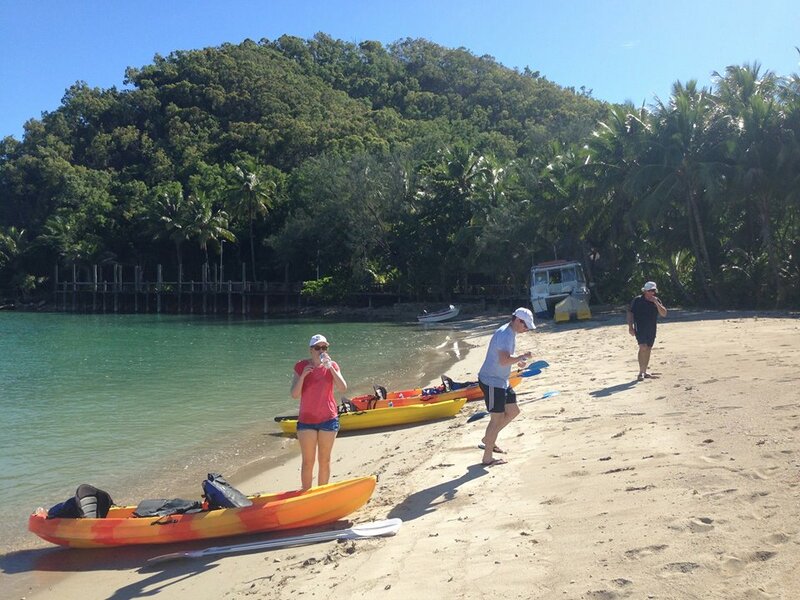 We’ve had some exceptional weather for kayaking Palm Cove and Double over the last month or so. The condition could not have been better, with perfect flat-water and incredible water visibility.We run kayak tours daily from Palm Cove. Check out some of the pics we got over the Easter weekend. This pic was take from my kayak heading over to the sandbar for a rest. Double Island has a lot of different colourful corals and amazing water visibility after a few calm days. Just pulled up on the beach to have a rest and explore the shallows for shovelnose sharks and small rays. It’s also one of the nicer beaches Double Island has to offer. 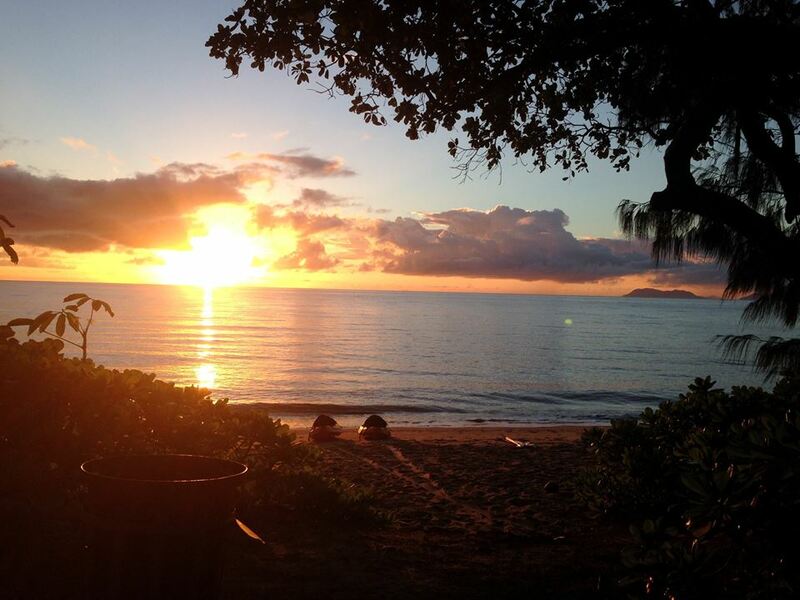 You just can’t beat a sunrise at Palm Cove! This picture was take about 15 minutes before departing Palm Cove on the Kayaks. Sunrise at the moment is at about 6:30 am and is definitely worth a look if you’re in the area. Seeing this every morning is definitely one of the perks of my job :). Sunrise before departing Palm Cove Beach. We spotted this little dude while kayaking backing to Palm Cove. We followed him around for a few minutes. He definitely wasn’t shy. He even popped his head up to say hi occasionally ;). 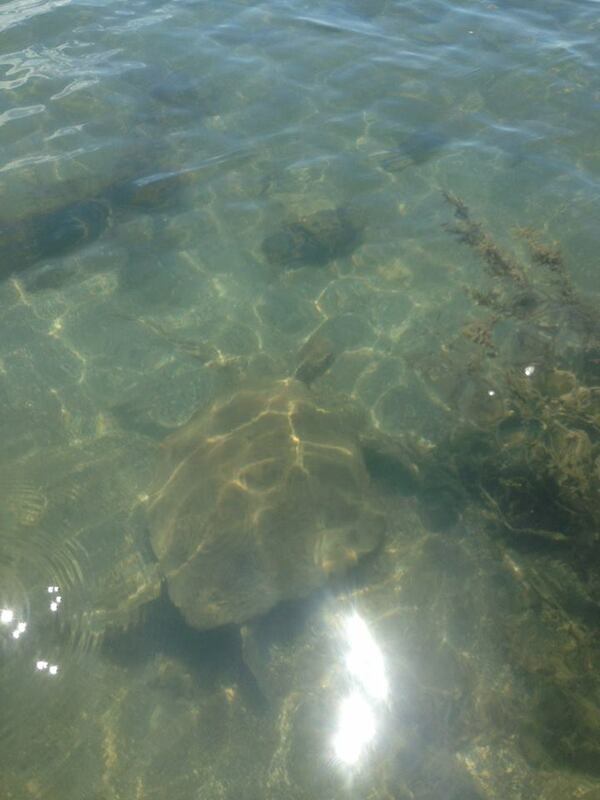 We often see sea turtles and other marine life exploring the surrounding reefs of Double Island and Scout Hat. It’s not everyday you can enter the cave at Double Island, but the calm sunny days allowed us to enter. 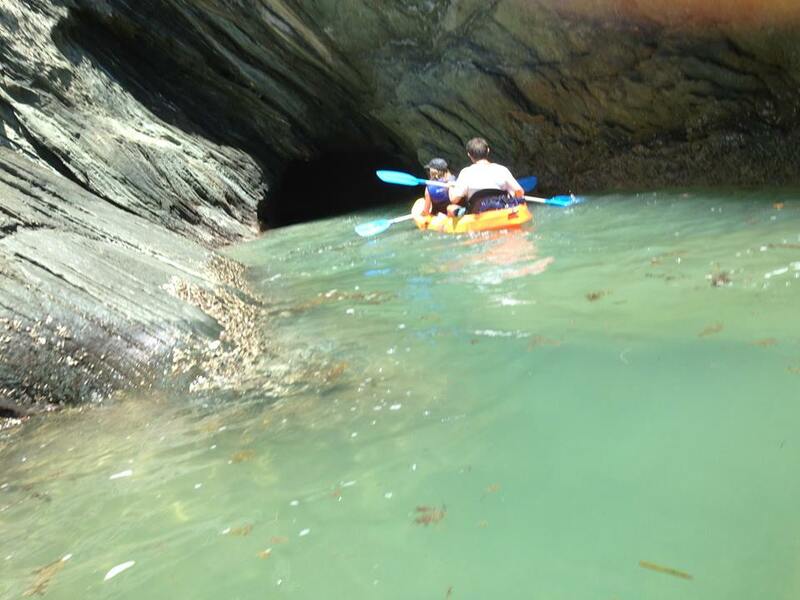 In this picture here we are taking the currents into the cave. entering the cave can be a little daunting at first, really there’s nothing to worry about though. It’s just a matter of letting the currents carry you in and then push you back out again.